The pro-Kremlin Night Wolves motorcycle gang staged a celebratory concert outside Sevastopol on Saturday to mark the fifth anniversary of Russia's annexation of Crimea. 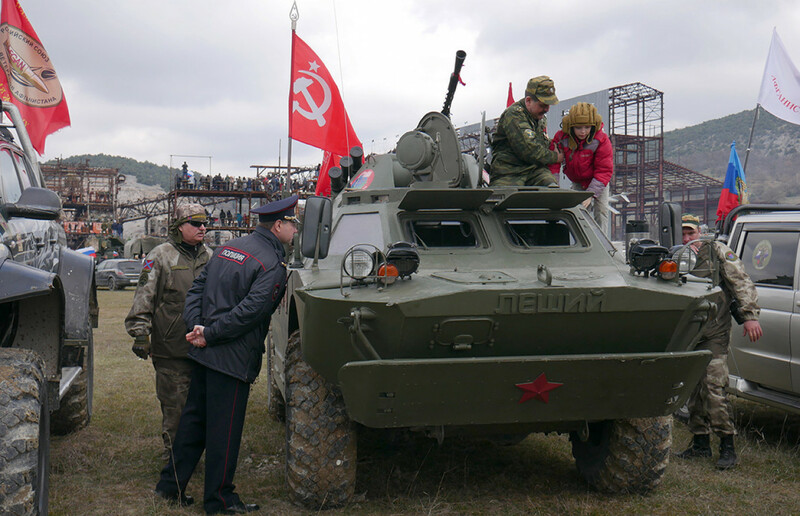 The event was marked by patriotic fervor and featured a display of military equipment, a rock concert, the unfurling of the largest Russian flag in the world and an awards ceremony for individuals who helped Russia's takeover of the peninsula from Ukraine in March 2014. Medals were handed out to Cossacks, militiamen, officers from Ukraine's notorious Berkut special police forces, as well as an Orthodox priest and a Russian state journalist. 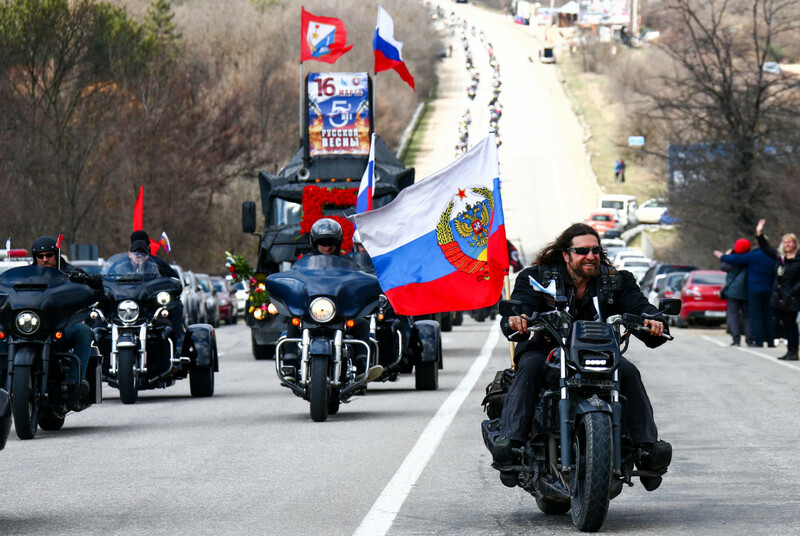 A column of bikers carrying Russian flags kicked off the event on Saturday in a procession of cars and motorcycles from Simferopol to Sevastopol in Crimea. 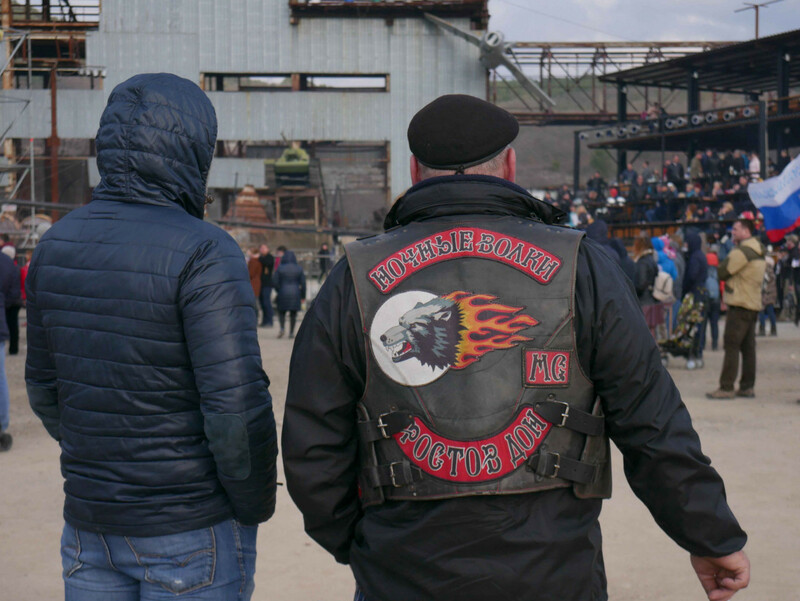 The biker group frequently holds events at the Gasforta mount outside Sevastopol. Men wearing Berkut special forces uniforms guarded the entrance to the grounds on Saturday. An abandoned mine is situated on the site, giving it a post-apocalyptic air. 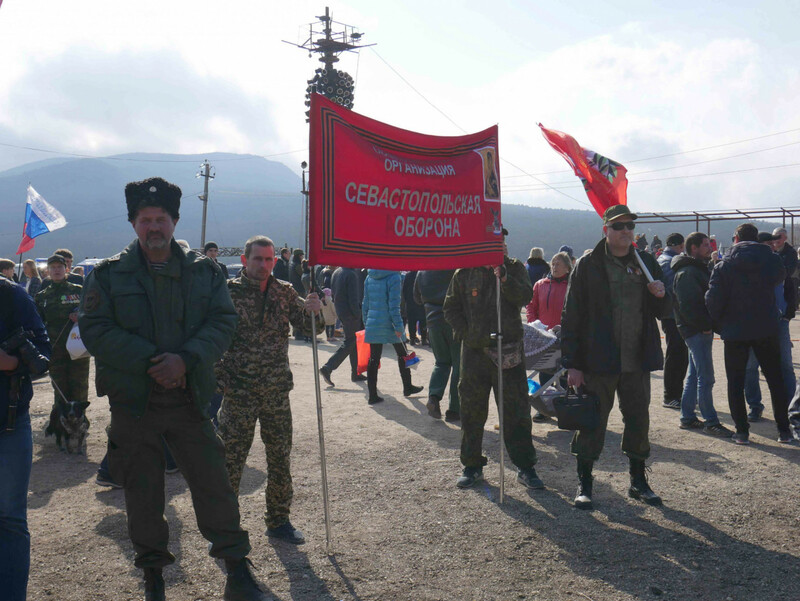 On Saturday, hundreds of locals and tourists visited the site to celebrate Crimea's annexation. 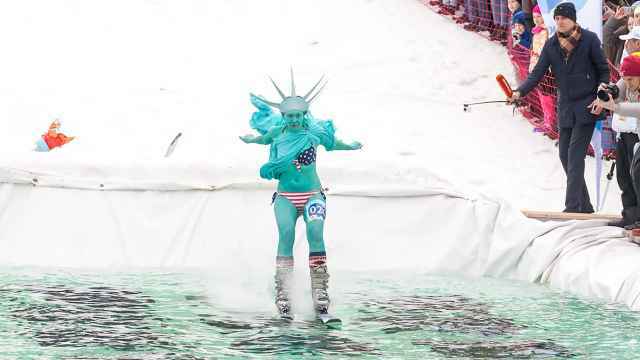 Many wore military fatigues and waved Russian flags. 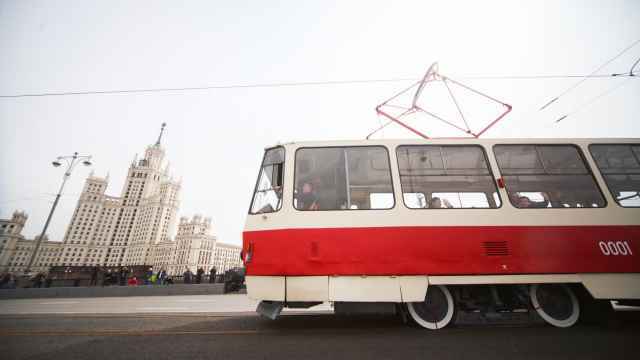 Military vehicles including armored personnel carriers were scattered at the site. Men bearing the flags of the "Sevastopol Defense Organization." The head of the Night Wolves, Alexander 'The Surgeon' Zaldostanov, led the ceremony. The biker has been decorated by Russian President Vladimir Putin for his role in Crimea's annexation. He is also under Western sanctions. 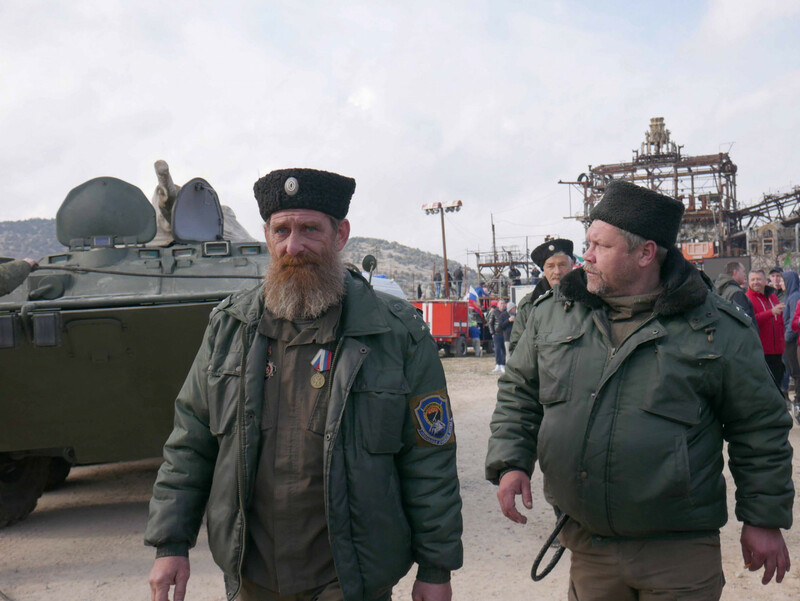 Cossacks reportedly patrolled Crimean cities during the annexation. Many wore medals at the celebrations Saturday. A couple in front of a makeshift barricade with photographs from 2014. The Night Wolves have close ties to the Kremlin and are known for their ultra-conservative and imperialist views. "5 Years of the Russian Spring," the banner reads, next to a copy of a famous Soviet statue.